Margaret Tudor was an English Princess and daughter of the first Tudor monarch, King Henry VII and Elizabeth of York; Margaret was the sister of King Henry VIII and married King James IV of Scotland – did I mention she was also mother of King James V? 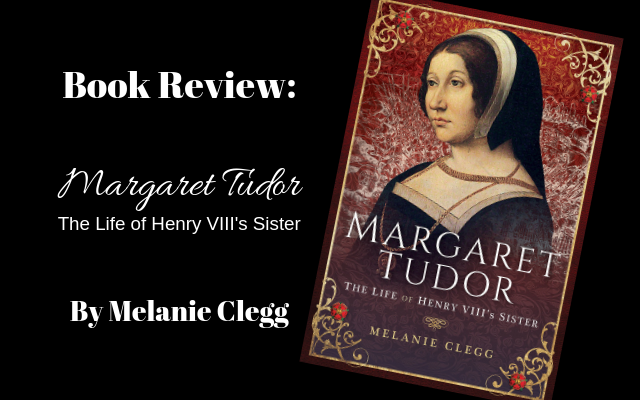 I was approached by Pens & Sword History to write a review on the book Margaret Tudor: The Life of Henry VIII’s Sister by author and historian Melanie Clegg, and happily accepted the opportunity to learn more about one of the Tudor siblings. I tend to focus on the life of her brother and so I found this as a great opportunity to learn more about this magnificent woman. When the thirteen year old Margaret Tudor, eldest daughter of Henry VII and his wife Elizabeth of York, married King James IV of Scotland in a magnificent proxy ceremony held at Richmond Palace in January 1503, no one could have guessed that this pretty, redheaded princess would go on to have a marital career as dramatic and chequered as that of her younger brother Henry VIII. Left widowed at the age of just twenty three after her husband was killed by her brother’s army at the battle of Flodden, Margaret was made Regent for her young son and was temporarily the most powerful woman in Scotland – until she fell in love with the wrong man, lost everything and was forced to flee the country. In a life that foreshadowed that of her tragic, fascinating granddaughter Mary Queen of Scots, Margaret hurtled from one disaster to the next and ended her life abandoned by virtually everyone: a victim both of her own poor life choices and of the simmering hostility between her son, James V and her brother, Henry VIII. 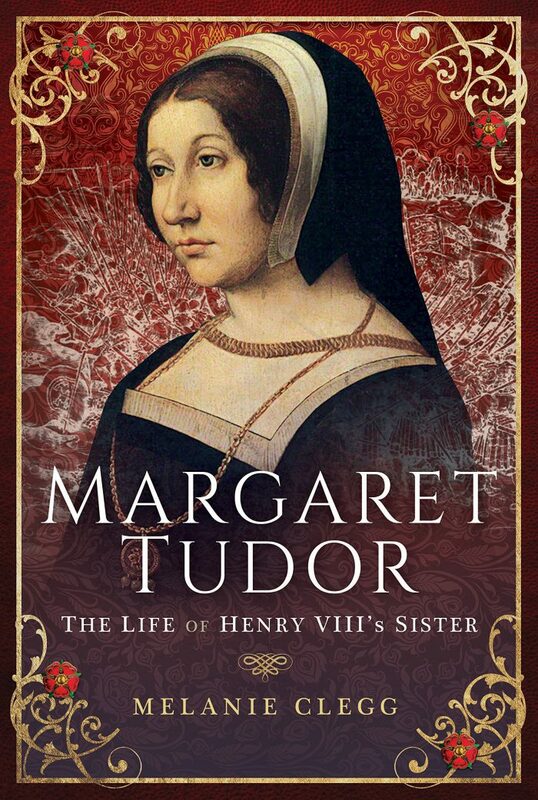 Margaret Tudor, if she had been born male, would have been no different from any other King of England, and if she lived in the modern world may have been a force to be reckoned with. When I read books about royal women who are ruled by men it leaves me frustrated. Frustrated for them, that is. In this book I put myself in Margaret’s shoes and felt the frustration when her conniving husbands stole her money (which, by the way they could because men ruled women) and left her nearly penniless. It was in those moments that you see a Margaret Tudor who was very much like her brother Henry. She was also fiercely protective of her children. Margaret was not afraid to ask her brother Henry VIII for help when she needed it. It appears that she took her role in Scotland very seriously and wished to keep relations between the two countries stable. Unfortunately for Margaret, both her brother and first husband, King James IV of Scotland were men who did not back down from a fight. Because of this book I now look at James IV much differently than I used to, and this has piqued my interested to learn more about him. He appears to have been good to his queen consort even though he had mistresses and many illegitimate children. Something Margaret, like her grandmother Elizabeth Woodville, learned to live with because she was treated so well. When James IV was killed at the Battle of Flodden the Regent in England (Katherine of Aragon) contemplated sending the dead king’s body to her husband while he was fighting in France, but instead only sent his blood-stained surcoat. I was very interested in how the author described how Henry VIII would have reacted had she sent the body…but I do not want to ruin the story for you. This story is a quick and entertaining read and is well-written and researched. At moments I nearly forgot I was reading non-fiction because Clegg did such an amazing job putting together all the pieces and painting a picture of Margaret’s life in detail. What did I take from this book? Margaret had the Tudor fiery temper and stubbornness. She also ruled with the heart, something her granddaughter (Mary, Queen of Scots) would be claimed of as well. If you love to learn about the Tudor dynasty I highly recommend buying this book. This book will be released in the US on January 4th.